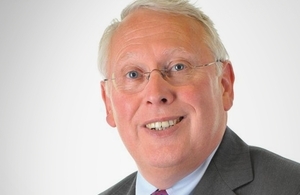 Local Government Minister Bob Neill has become the first minister to appear before London Assembly since its establishment a decade ago. Mr Neill was questioned by Assembly Members on a range of issues affecting the capital including the government’s priorities for London, plans for devolution, planning, scrutiny and accountability. “I was delighted to be the first minister to appear before the London Assembly - it’s very important that we have a productive and open relationship as we drive more power down from Whitehall. To see the session in full visit the London Assembly website’s webcast page and select the ‘Plenary meeting - 10am Wed 21 July’.